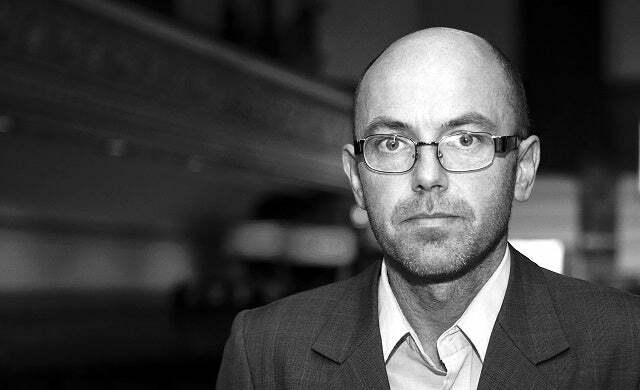 The journey of Wayne Hemingway MBE from working class boy to multi-millionaire is one borne of hard work, passion, innovation and ethics. Alongside his childhood sweetheart and now wife Geradine, the couple built their fashion brand Red or Dead from a small Camden stall to a £25m turnover business, consisting of 300 odd staff with 23 shops scattered around globe. After selling Red or Dead in 1999, the couple founded Hemingway Design, a company ‘firmly planted in societal needs’ which has designed everything from UK built furniture for John Lewis to sustainable staff uniforms for McDonalds and affordable living apartments in the Olympic village. Upon hearing on what the London night life had to offer, the pair moved to London when Hemingway was 18 years old and with just £50 each in their pockets, the pair decided to rent a flat. Unlike his other housemates who chose to draw the dole, Hemingway took a job behind the bar in a pub to fuel his nightlife and dream of becoming a popstar. It was this desire to succeed, and an ambitious attitude that would soon pay dividends for Hemingway and his future business. From a young age Hemingway admits he used his jealousy of others to spurn him on and as a result he became extremely competitive – not that he considers jealousy a bad thing, albeit in small doses. Attending a relatively mixed school, Hemingway would always look up, not down, when pitching himself against people. Always maintaining everyone should have a dream, he admits he’s genuinely never feared failure and thinks this phobia is holding too many young people back from achieving success. He suggests that even if your initial ventures aren’t wholly successful – you’ll still learn a lot and have no regrets. He admits that while there was a naivety about the duo’s business in its market stall days, they put themselves out there and most importantly ‘had a go’. He reveals Geradine once even accepted an order of 1,600 pieces from Macys New York during London Fashion week – only having to be told what both were! Despite always having one eye on helping others, Hemingway’s good intentions haven’t always been met in the same way. When word went round that one of his denim collections was being manufactured from hemp by prisoners in Full Sutton Prison, Red or Dead (a political reference to the cold war) came to the attention of, what he calls, ‘the gutter press’. Rather than go on the defensive, Hemingway used it as a perfect opportunity to rub the noses of the tabloid press and get one over on the so-called establishment. Newspaper headlines such as ‘The sick face of British fashion’ and ‘bloody disgrace’ soon became the brand’s calling card. The brand’s fightback against the lies put their sales through the roof and gained them national attention. No longer an underground business, Hemingway said he knew then the brand would always have a political voice. His advice for start-ups in a similar position? “Be intelligent with words, be provocative!”. After the initial success of the Camden market stall, Hemingway would spend his days trawling through jumble sales and charity shops in a bid for bargain to sell on. After visiting a Shoddy and Mungo yard, the young entrepreneur began to develop more and more of a social conscience – something that would define his business dealings for years to come. Now, Hemingway Design ensures ethics is at the heart of everything it does and it will only work with other companies that share similar philosophies regarding the environment, sustainability and people before business. While Hemingway always had an interest in alternative fashion and counter culture, Red or Dead was originally conceived from a ‘needs much’ situation. Not having enough money to pay a looming rent collector, Hemingway emptied his wardrobe to sell in Camden market– and it was from this that his real journey began. Having always been in business with his girlfriend and now wife, it’s no surprise that Hemingway has called upon his family in times of need – a good piece of advice for anyone with an immediate problem. While searching for the right type of vintage clothing to sell, it was Hemingway’s nan that suggested going after the rag and bone man – a decision that once resulted in selling a 50p jacket for £300! After receiving the enormous order from Macys, Red or Dead’s family rallied around in support with Wayne’s mother leaving her job as a barmaid and Geradine’s sister quitting her job in a snooker table manufacturer to get behind sewing machines and complete the order! A real life antidote to the idea that nice guys finish last, Hemingway embodies everything that can be right about running a business by placing emphases on providing better products for consumers and better environments for suppliers and workers alike – rather than just focusing on getting rich by any means necessary.